White glazed lazy susan plate with hand painted tulips. Bottom marked USA. Large 8 1/4" ashtray. Colors and design are just like the apricot chip 'n dip. Side view of ashtray. 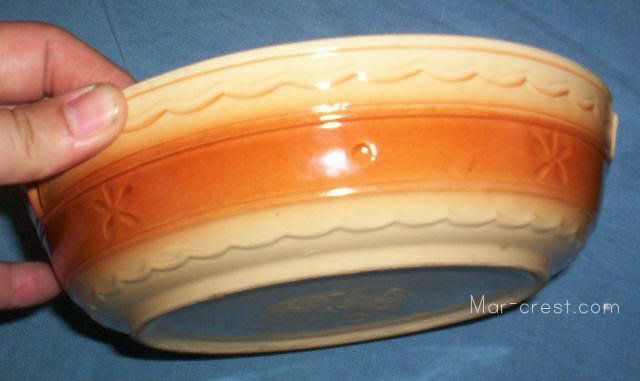 Glazed bottom with Mar-crest logo. 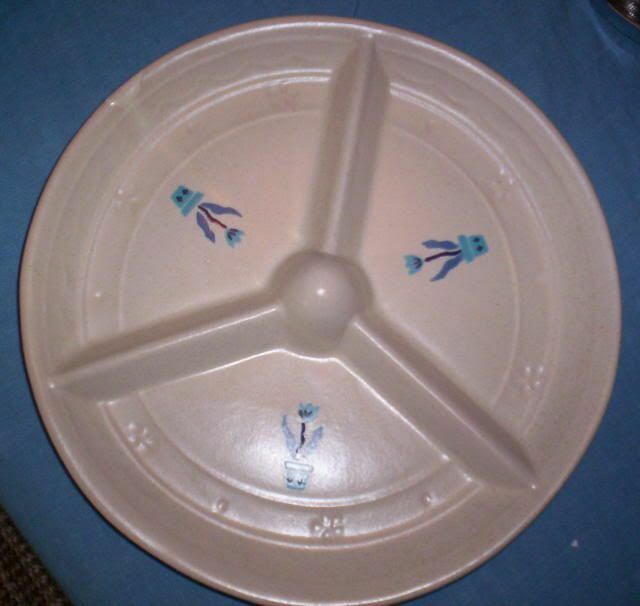 Large heavy 12 1/4" frosted chop plate. 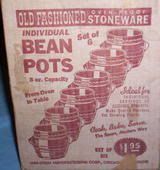 Black individual handled casserole with cover. 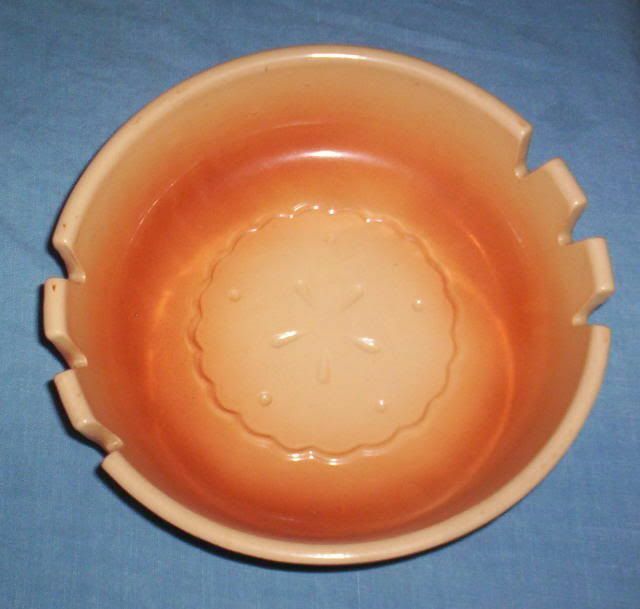 Pink interior and glazed unmarked bottom. 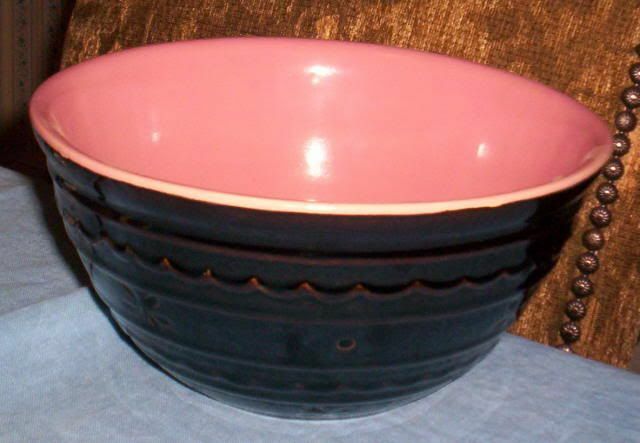 Large black bowl with pink interior. 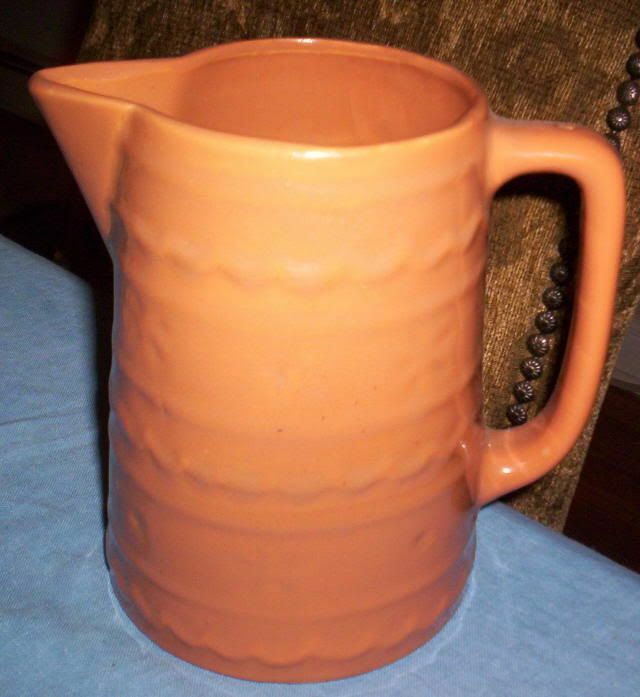 Glazed but unmarked bottom. 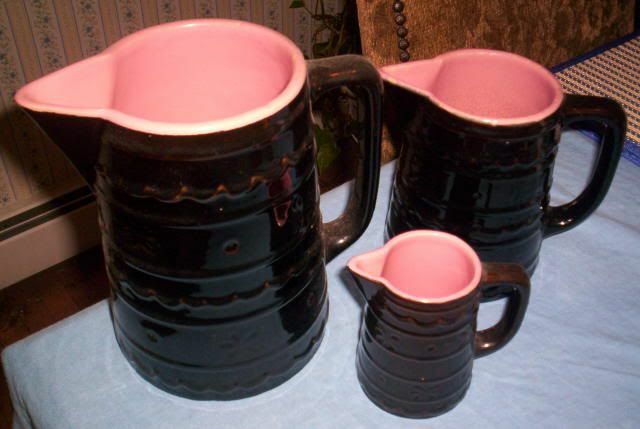 Black pitchers in 3 sizes, all with pink interiors. Bottoms are glazed and unmarked. Large caramel pitcher. 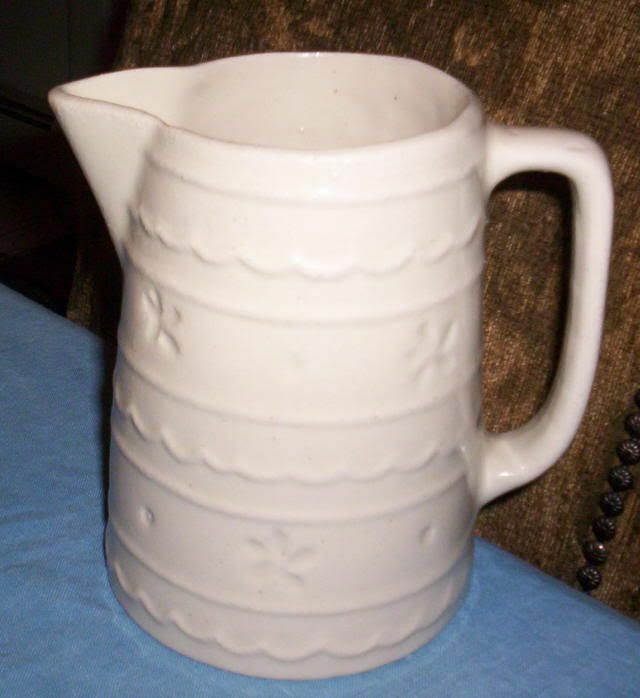 Unglazed and unmarked bottom. Large white pitcher. Unglazed and unmarked bottom. 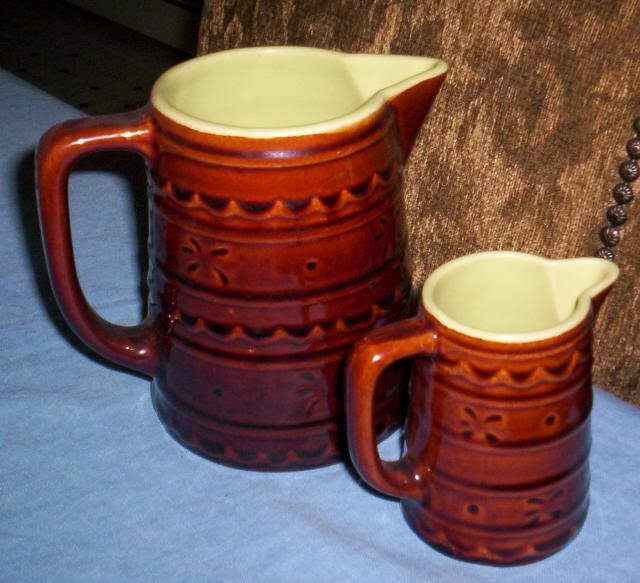 Medium and small brown with green interior pitchers. 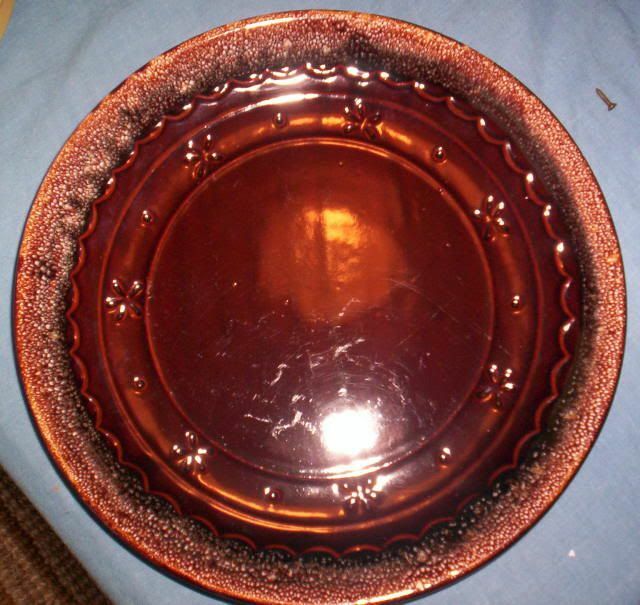 Glazed and unmarked bottom. 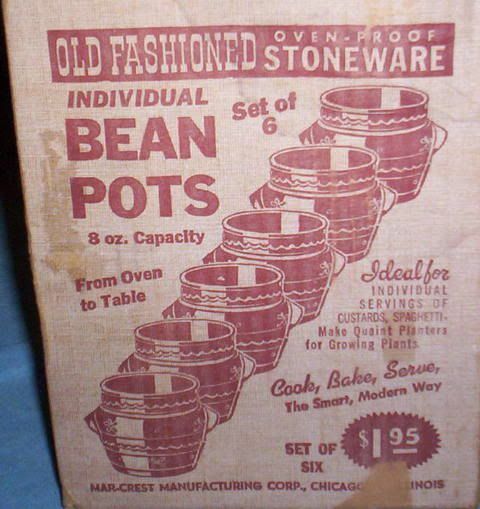 Individual 8 ounce bean pots (set of 6) original box. 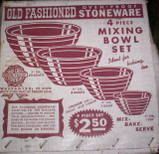 Bowls that were inside of this original (but opened) box have unglazed and unmarked bottoms. 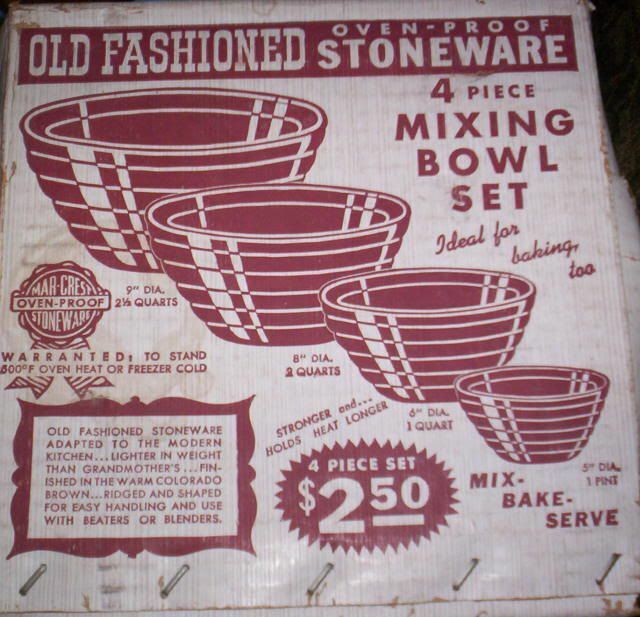 Original box for a set of 4 banded mixing bowls.